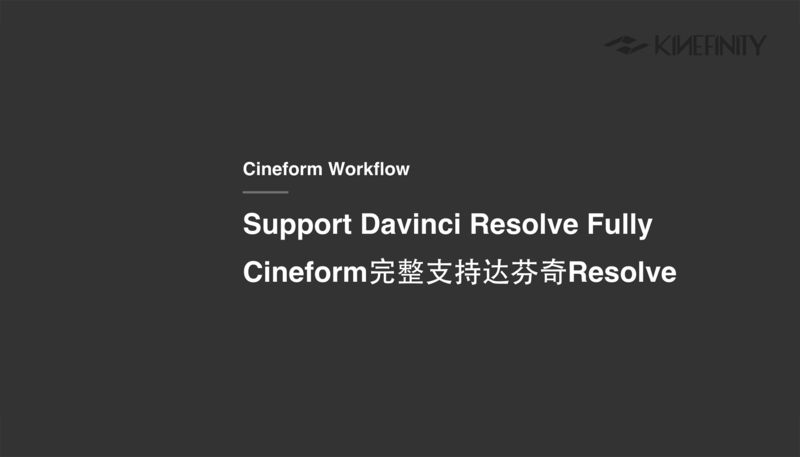 Davinci Resolve is an excellent DI software, but it can not support Cineform natively and fully. Though Cineform footages can be playback, edited and graded in Resolve, but it can not access the meta data of Cineform, like DeBayer options, primary color correction in Cineform studio, so that Cineform grading in Resolve is not good choice. To support Cineform codec comprehensively in Davinci Resolve (at Windows platform), you need to download a dll file from Cineform Zendesk. Full support in Davinci Resolve includes Debayer option, LUT automatic loading, reading meta data and other excellent features of Cineform codec. It has not been realized in MAC platform so far. Attention: It may be not the latest version downloading from this website. Then you can use the Cineform footages easily as in the Premiere/AE. This entry was posted in Workflow and tagged Cineform, KineMAX, KineMINI, Tutorials.